1. 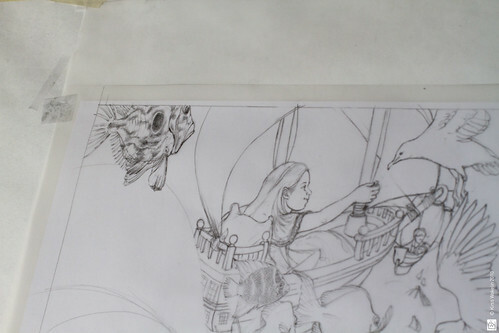 I’m onto illustration #5 (above) – flying boats and a John Dory. 2. The New York Times reports that picture books are no longer a staple for children as parents encourage their children to leave them behind so they can start sooner on word books. A heartbreaking article. And not just because I’m smack in the middle of time consuming illustrations for a book right now and don’t need any more proof that my (part-time) career choice is a little poor, but because I’m trying to think of what my childhood would have been like without picture books. And all I can gather is I would have missed out on some pretty huge realisations, imaginings, creative thinking, explorations and just plain old visual delight. There was no shortage of great quality (no *cough* Disney) picture books in our bookshelves at home, and that abundance certainly didn’t stop me from devouring every wordy book in sight as soon as I could read (which was early). But nothing could quite compare to the pure emotion that illustrated books evoked, and I can still feel those emotional responses I had to those books. Ironically, I can’t properly express in words the impact that those books had on me. (I’m sure that could be directly linked to my over-indulgence in picture-based communications). 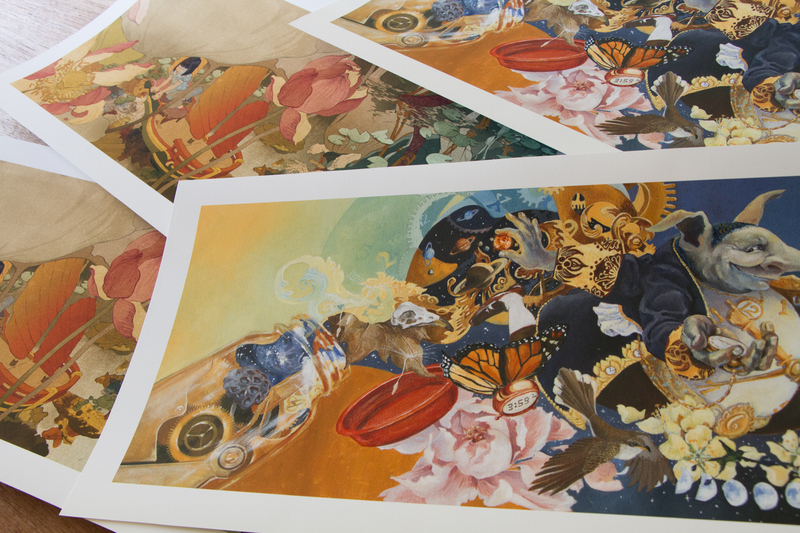 Illustrations in picture books aren’t just there to pretty up the words. They tell their own stories too and introduce concepts. And they can make you think of things another way. Take the Dory above. Sure it’s a fish, but somewhere (out of frame of this photo) there’s also a little dory, rowed by a small child. Take that words! (of course, the joke’s only obvious if one knows a dory from a perch, and a peapod from a dory – which I do, but only after carefully researching an illustrated book of wooden boats and an illustrated book of fish. Ok, I admit the joke’s only there to amuse myself because something has to keep me entertained during these long hours of drawing). 3. After unhappy thing #2, I came across this article on why parents shouldn’t forget the beauty of picture books. And that made me feel better to know that there are parents out there who aren’t ready to hide the picture books just yet. And it was also really nice of the author to link to my blog; I’m always surprised that people find me way over here in my dark little corner of the internet. 4. I’m giving it a few more days, because I can’t draw names for a prize if I don’t have any names to draw…so…here’s a reminder that kc dyer has a contest going and a copy of her new YA novel is the prize. All you have to do is comment on her guest post to be entered for the draw. Bonus draw: if you link to that post on your blog, facebook page, website or tweet (and let me know in your comment that you did), you’ll be eligible for a draw for both her books (the new one’s the sequel, so it might be good to try for the pair). I’m not going to lie; right now, the odds of winning are very good. These books would make great gifts for that kid you know who has left picture books behind for the great wide world of words. Contest closes on October 20th, 2010.